5 Reasons Periscope Will Be A Game Changer for Your Business - Entrepreneurs That SOAR! Real-time engagement: When you're broadcasting on Periscope, people can reach you in real-time and learn about who you are and your company and even ask questions. Build a community of loyal followers: The Periscope app is a great tool for live broadcasting and streaming, but it's also a social networking app. You can build connections, interactions, and followers with people just by watching each other's broadcasts! Reminders: Don't have the brain space to remember when someone is going live? 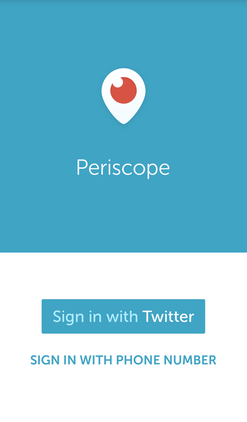 Don't worry, the Periscope app sends a notification right to your mobile device for your convenience! Know your purpose: Why are you using Periscope? Who are you trying to reach? What message are you trying to send? Figure out your strategy: How is this going to help your business? How do you want your broadcasts to reflect you and your business? Be Spontaneous: Use Periscope in your office, at a networking event, or even on the road! Sure, planning is a great thing, but spontaneity can be awesome!